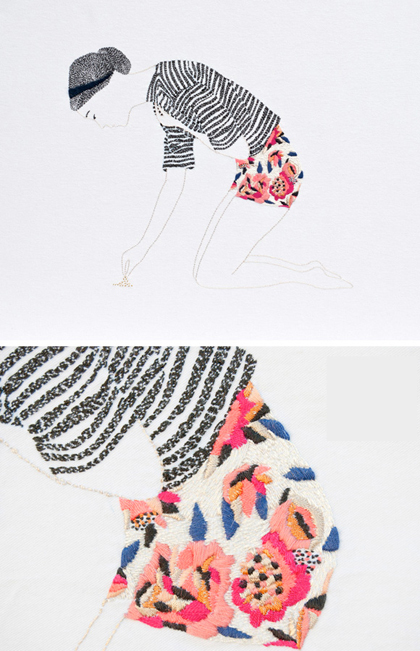 I gasped when I saw these amazing embroidered artworks by Jazmin Berakha. 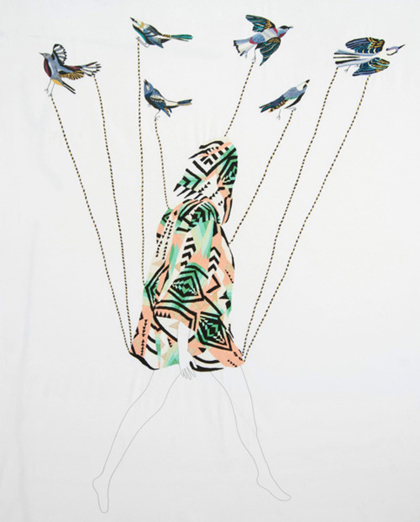 I found her work while I was rummaging around over at, definitely excellent blog, Creature Comforts and I just can't stop gazing. Divine. Love these, they're sooo stylish! Just stumbled across your blog! OH my gosh!!! and am I glad I did! its just beautiful... Following now, and cant wait to see more!